From the recent shared information through the official website of the Professional Regulation Commission (PRC), it already revealed the list of those who passed the January 2018 Sanitary Engineer Licensure Board Exam held last January 16 this year in Metro Manila. As detailed by the commission online, 96 applicants took the board examination and 50 of them passed successfully. The Board of Sanitary Engineer administered the licensure headed by its chair Engr. Corazon De los Reyes-Romero and assisted by other two designated members. The PRC likewise added that the application for the Certificate of Registration and issuance of Professional Identification Card (ID) registration would be on January 25-26, 2018. It is important for the passers to visit the official website of the commission to determine the instructions and added requirements, if any. 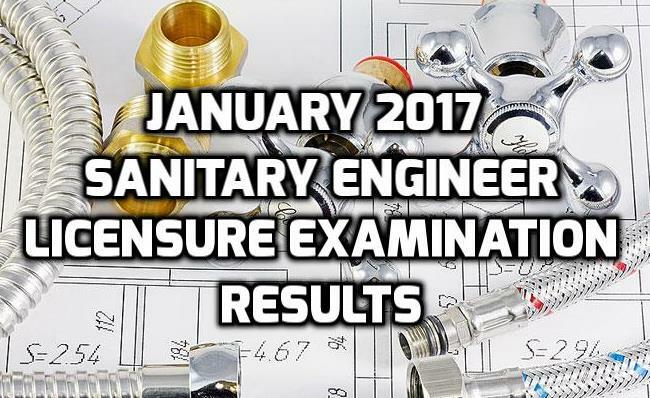 The results of the 2016 Sanitary Engineers board exam are finally here! Check out who passed and spread the word to your friends and family! Congratulations to everyone who has passed the exam. The examinations were divided into three days so that examinees would not cram. Recently, the results of this exam can be published after two days, which is fast. It is a must to take note that passers must personally apply for their own professional license.